According to media research company Nielsen, the average U.S. home receives 189 TV channels but tunes in to an average of just 17. Wouldn’t it make sense to ditch all those unwanted channels and just pay for the ones that you actually watch? 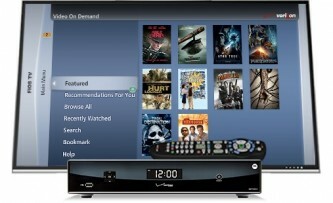 The new FiOS Custom TV package allows you to do just that. Introduced on April19, FiOS Custom TV features a base set of channels, which include select national and local network stations. Customers can then add at least two ‘Channel Packs’ that match their specific viewing preferences. At launch there are 7 different Channel Packs to choose from: Lifestyle, Entertainment, News & Info, Pop Culture, Kids, Sports and Sports Plus. If you want more than two Channel Packs, you can add others at a cost of $10 per month for each additional pack. The individual Channel Packs contain all the popular channels that you would expect under the various genres. For example, The Kids pack includes Nickelodeon, Disney Channel, Cartoon Network, Nick Jr, TV Land, and more, while the Sports pack has ESPN, ESPN 2, NBCSN, CBS Sports, Fox Sports 1, Fox Sports 2, and more. This ‘build your own’ approach to providing custom TV packages has been talked about for a long time but FiOS is the first provider to take the plunge and come up with a customer-first option. This new personalized approach comes at a time when many consumers are ‘cutting the cord’ in favor of the growing number of on demand streaming options from services like Netflix and Hulu Plus. Even the content providers are getting in on the act, with the stand-alone HBO Now service already available on Apple TV and iOS devices. FiOS customers who still want to purchase the more traditional TV packages such as Preferred HD or Ultimate HD may continue to do so, and FiOS has retained the Local package for those customers that just want the basics. And, of course, you can still bundle FiOS Custom TV with Internet and Phone to get the most cost savings. Still worried about all the content you are paying for but not watching? Now you can customize your programming so you only pay for what you watch! The Online Mom, LLC receives a fee for participating in certain promotional programs for FiOS.